LED mobile billboard trucks or Digital truck advertising! Don’t wait for the customer to drive by your ad when you can drive your ad by the customer. LED mobile Billboard truck advertising offers exceptional reach. They are visible to thousands of people in a short amount of time because they travel, and they can reach into areas in town where other media cannot.The advantage of using digital mobile billboard truck is to drive your brand or advertising message where other media can’t reach or in some cases they are not available. No other medium can guarantee coverage at the exact physical locations of your audience lives, works or plays. Digital truck advertising or static banner billboard truck? Mobile billboard trucks can deliver your ad message and is the best way to reach your audience. 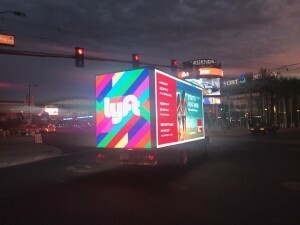 digital Billboard trucks are eye catchy and they are the most unique form of media you can recall days after seeing. Mobile billboard truck advertising (MBB/OOH) puts you directly in front of your audience at the perfect time. We propose to develop a set of targeted OOH campaigns that target your audience where they work, play, shop, etc. This will ensure that your brand stays front and center as your target audience. By using our LED mobile billboard Vehicles you can reach out to your valuable prospects, in the right place at the right time. 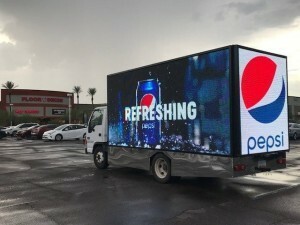 LED mobile Billboard truck can bring any message or advertisement to hard-to-hit locations and will deliver immediate, overwhelming and targeted results. Our static or led billboard trucks routes are determined for individual client. Whether we are targeting one or several major markets , we take direction from you… essentially making it YOUR mobile billboard. We go after your target markets that only works for your business such as grand openings, product launches, recruitment campaigns, and special promotions, branding. We successfully drive your message to your target audience. Our mobile billboard truck will saturate your market with repeated exposure and drive your message home. Unlike other forms of advertising mobile billboard advertising truck ad message can’t be thrown out turned off or tuned out. Why you need our LED mobile billboards? 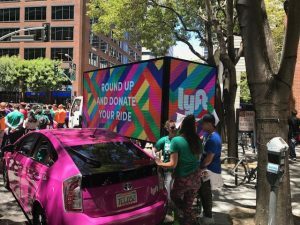 Our LED mobile billboard will attract additional attention with surround sound playing as they drive down the street looking like a giant TV. 24 hour communication with manager. Daily photos taken throughout the campaign. Planning the most effective route for your ad campaign. You’ll receive photos of where your Mobile Billboard Ad each day. Targeting, The right demographic is one of the key factor in any form of advertising Such as Radio, TV, Web/Social media, Magazine, Direct marketing, and many more…. When and where? That’s when mobile billboard truck can solve that problem. billboard trucks can travel anywhere anytime to target the right demographic at the right time and right place. When we are talking about outdoor, it means fast paste and on the run. A prefect short and sweet to the point message on the billboard truck can deliver a high result impression. How you say it or show it, matters. when you see something unique you’ll remember it vs something that you see on regular bases everyday. billboard trucks are known for that. when you see a advertising image or message on the mobile billboard truck you’ll remember it longer and easier vs seeing it on TV or the billboard on the side of the road that you pass by every day.